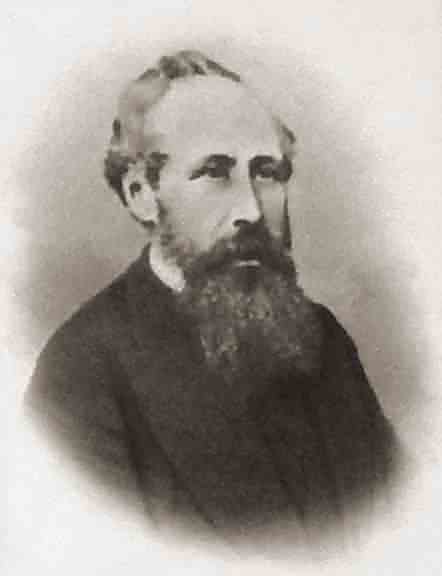 James Curtis was born in 1822 in Yeovil, the son of draper James Curtis, originally from Fordingbridge, Hampshire, and his wife Elizabeth. In the 1841 census James and Elizabeth were living above their draper's shop in the Borough with their children James Jnr, Elizabeth and John, together with two draper's assistants, a draper's apprentice and a domestic servant. By 1851 his mother had died and James was employed as a draper's assistant in his father's drapery business in the Borough. He lived above the shop with his father and brother John. His aunt Sybilla Pope was housekeeper and three young male shop assistants and a domestic servant also lived on the premises. 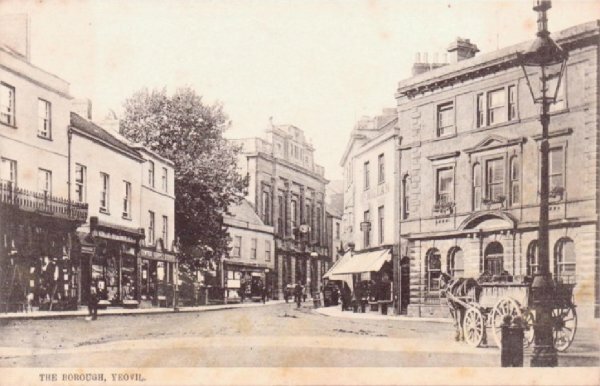 In the spring of 1858 at Exeter James married Phoebe Eliza Spark of Exeter, thirteen years his junior, and by the time of the 1861 census his father James had retired from the drapery business and James Jnr was running the business with his brother John. James and Phoebe lived above the shop in the Borough with their two-year old daughter Ellen. James gave his occupation as 'Draper employing 3 men, 2 females and 1 boy' all six of whom also lived on the premises together with a cook and a nurse. By the time of the 1861 census his father James had retired from the drapery business and was listed as a 'Sub-Distributor of Stamps' living in Hendford. James Jnr was running the drapery business and lived above it with his new family while John, a lifelong bachelor, lived with his father in Hendford and gave his occupation as a Draper. The brothers James and John ran their father's drapery business and restyled it as "J & J Curtis, Drapers & Undertakers of High Street" (see Gallery). James, as his father before him, was heavily involved in the public life of Yeovil and was a member of the Town Council. He was twice elected Mayor, serving from 1869 until 1871 and again from 1873 to 1874. His brother John served as Mayor from 1876 until 1878. In the 1871 census he listed his occupation as 'Mayor, Alderman, Distributor of Stamps, Retired Draper, Landowner'. At this time he was living in a house in Hendford Terrace, photographed below, with Phoebe and their three children; Ellen aged 12, Arthur aged 3 and one-year old Percy, together with his brother John (who listed his occupation as 'Retired Draper, Landowner and member of the School Board') and three servants. The draper's shop in the Borough was taken over by outfitter Frederick Cooper and, later still by Edmund Damon and his brother Robert Damon. In 1875 he was appointed as a Borough Magistrate. On 16 April 1880 Robert Slade Colmer was brought up in custody before the Mayor (Mr Edward Raymond) and Messrs HB Phelps, James Curtis and John Curtis accused of the murder of Mary Budge - for full details of the case, see here. In the 1881 census James, Phoebe, their daughter Ellen, James' brother John and a cook were all still living at the house at 68 Hendford. Both James and John listed their occupations as 'Magistrate & Alderman'. The next window to the east of the Prowse window in St John's church was provided in 1861 by James as a memorial to his family. 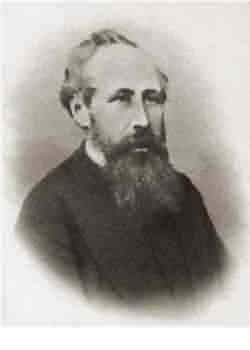 James Curtis died, aged 65, at Yeovil in the spring of 1888. This postcard of the Borough dates to about 1905 and shows the premises of the Damon Brothers as the first two of the three buildings at left. The middle of the three is the shop with accommodation over that was James and John Curtis' drapers shop during the 1860s and their father's before him. 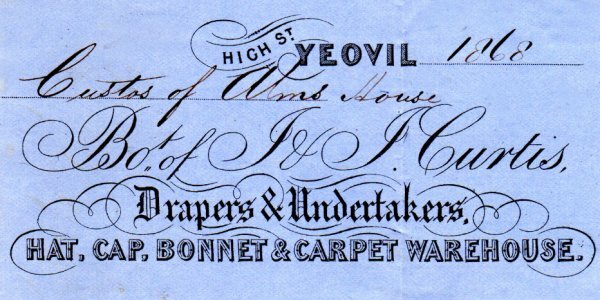 The fancy letterhead of J&J Curtis on an invoice, dated 1868, to the Custos of the Woborn Almshouse. The total bill was for £37 18s 3d, and a note on the reverse states that it was paid on 1 June 1869. 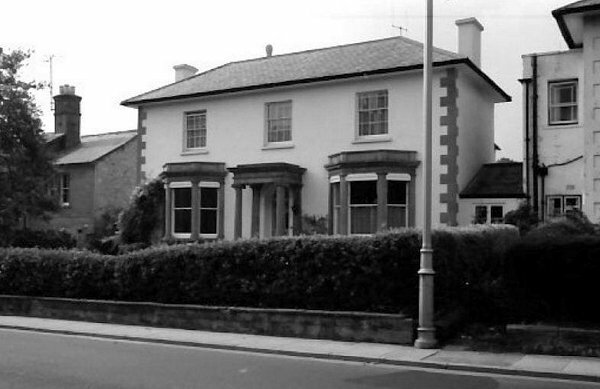 68 Hendford (formerly 57), photographed in the 1960s. This was the home of James Curtis Jnr and his family, including his bachelor brother John. James Curtis died in 1888 and his widow Phoebe and brother John were in residence together with a cook and a housemaid from then on. By 1901 John had died and Phoebe was living with her daughter, a live-in nurse, a cook and a housemaid.